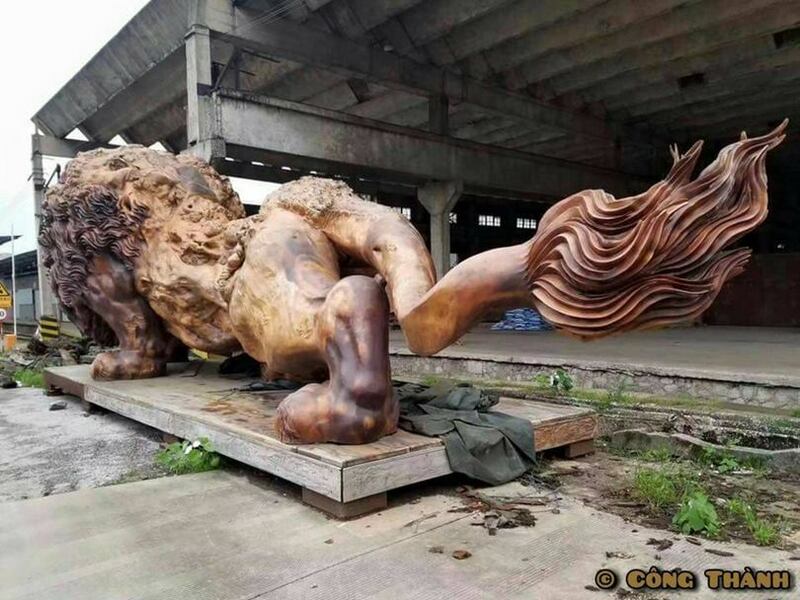 This amazing and giant lion statue called the Oriental Lion is the work of sculptor Dengding Rui Yao. 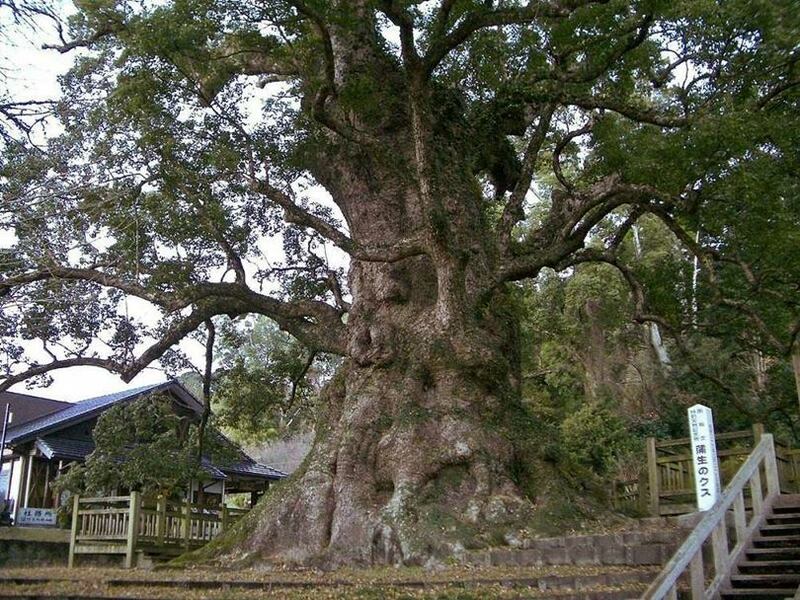 It is known that it is 5m high, 15m long and 4m wide. 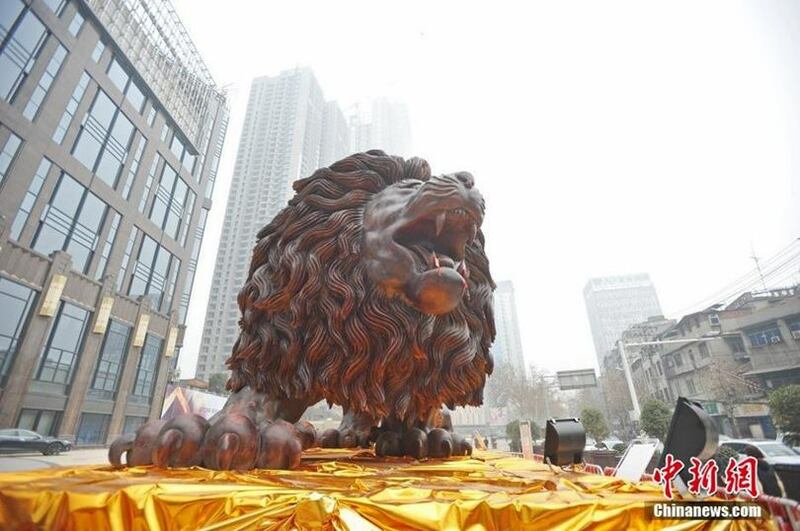 In Chinese culture, the lion plays an important role, acting as a symbol of strength and greatness. 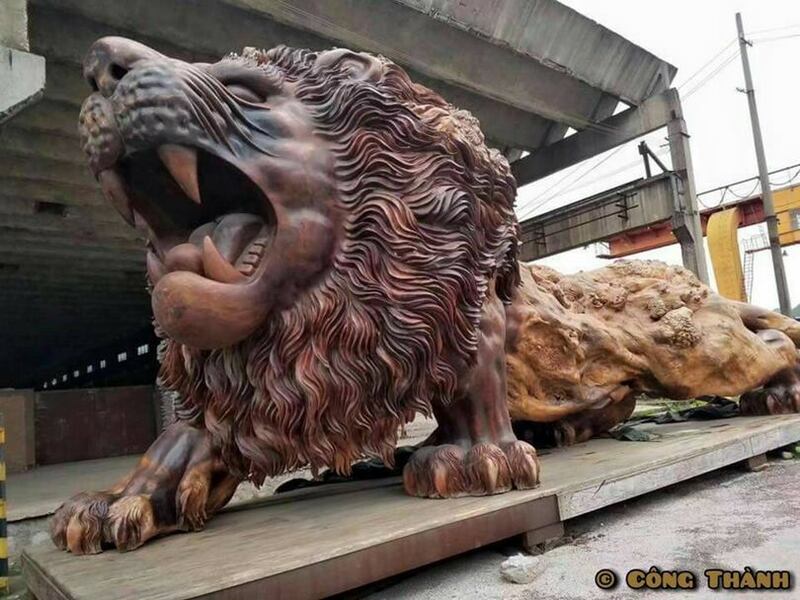 It is no coincidence lion statues are often installed at the entrances to temples and palaces, including the famous Forbidden City in Beijing. 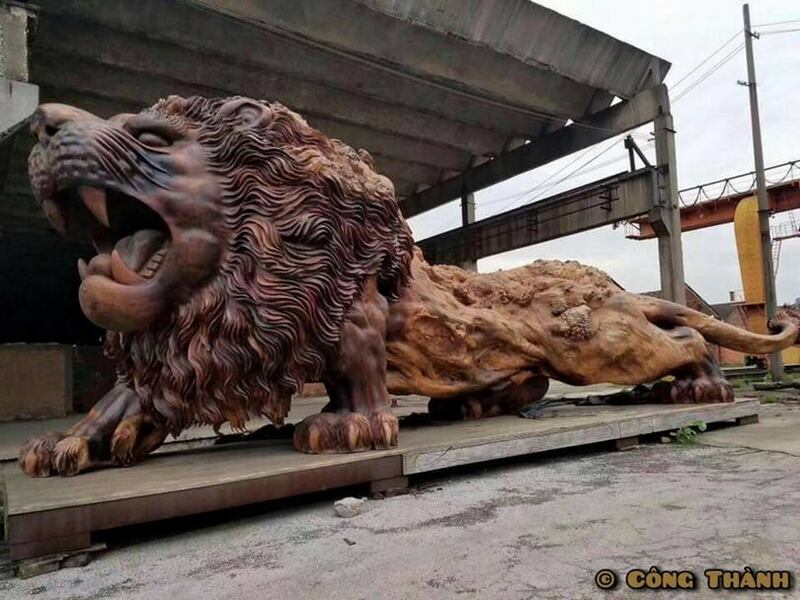 What is more special is that the Oriental Lion is trimmed from a single trunk without grafting. 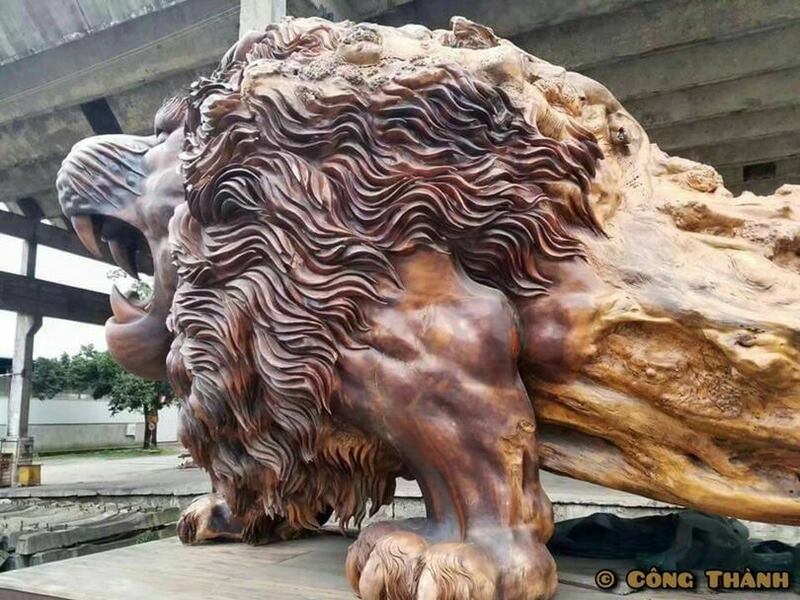 Most of the statue retains the rough, rough texture inherent in the log. 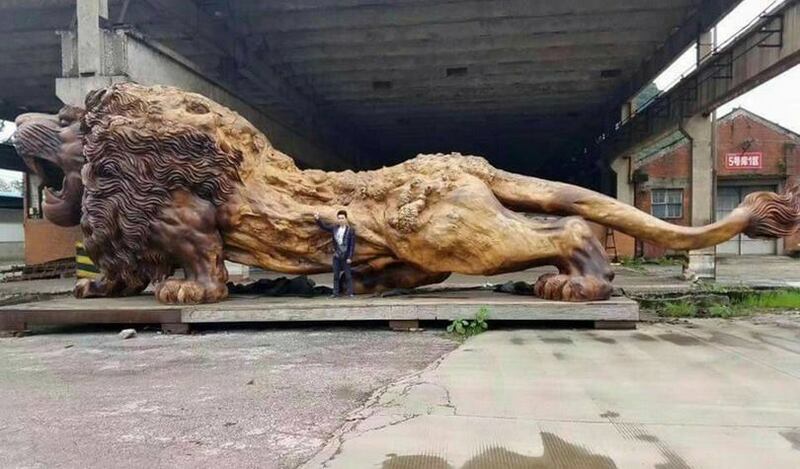 Only head, nails and tail are polished. However, the secret of wood material has not yet been revealed by the author. 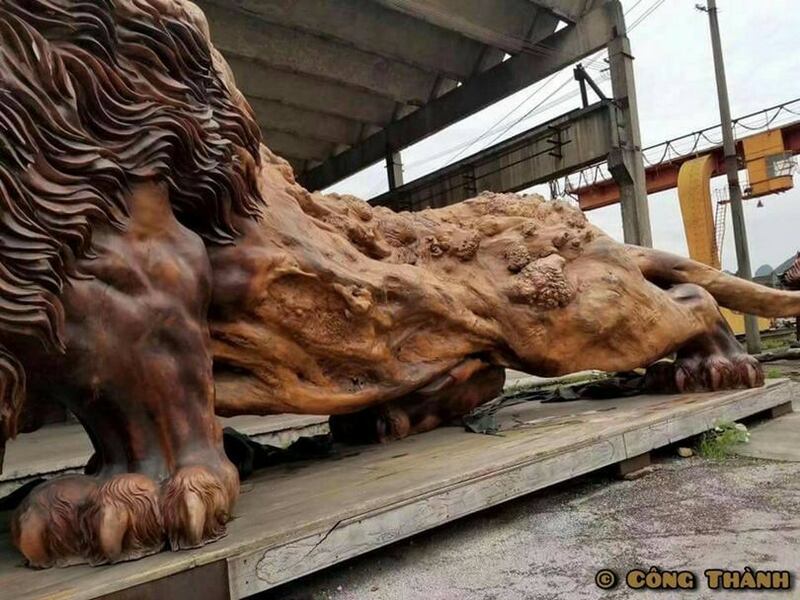 However, based on wood, many experts say that the statue is made of seaweed, a pine family native to Sichuan, Hubei province. For three years, Rui Yao and a group of 20 sculptors have worked hard in Myanmar. 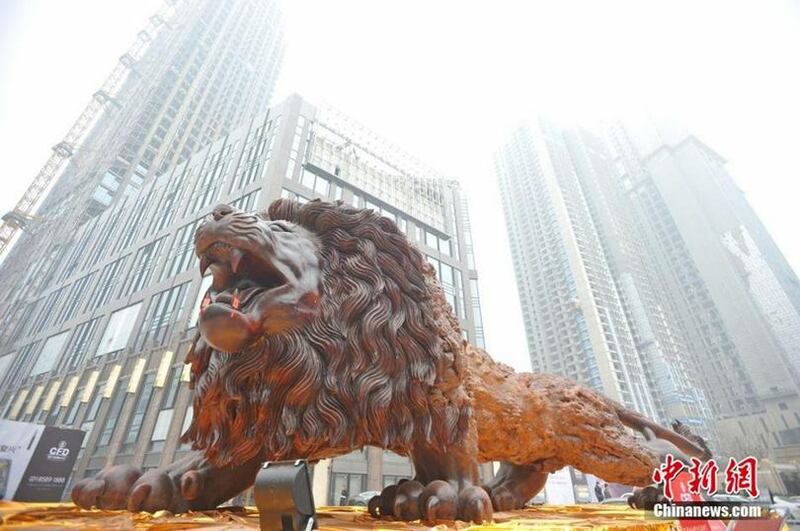 After completion, it crossed the 5,000 km mark to reach Wuhan’s Fortune Plaza Times Square of China in December 2015.